Chic picnic ! 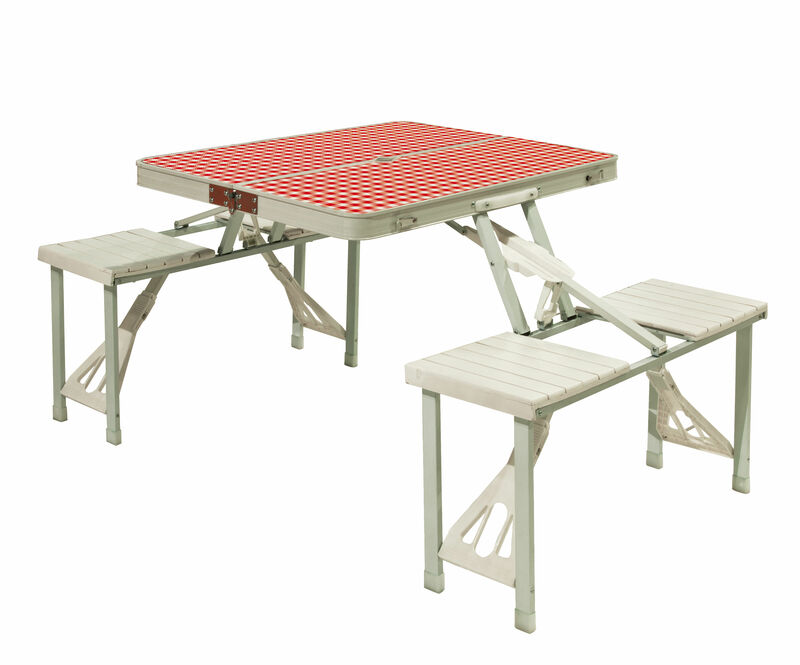 This table with integrated benches folds in one second for turning into compact case : this is the perfect companion to enjoy the sunny days. 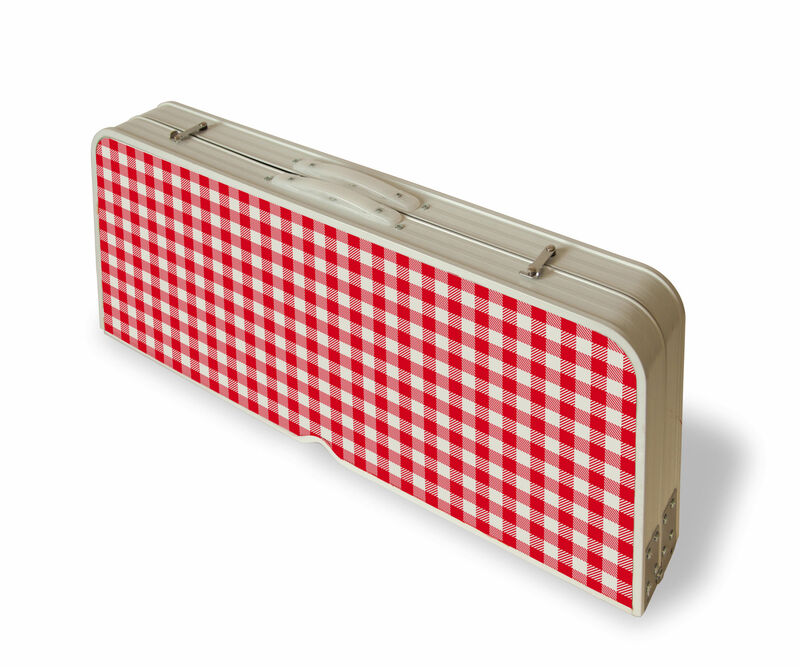 With its red and white patterns, it displays a fun and casual look! This portable table is perfect to eat on the beach, in the land or cottage... No more blankets on the floor and sand in the salad! It is also a perfect table for small balconies or terraces: fold it when you need more space.